Princess Tabby loves playing in the palace with her brothers and reading about brave kitty heroes. 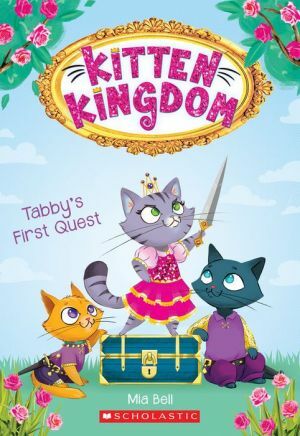 When Tabby and her brothers accidentally give away a magic scroll to the evil King Gorgonzola, they must leave the safety of their castle to get it back. But reading about adventures and going on a real quest are two very different things. Tabby's never been afraid before, but suddenly she doesn't feel so brave. Will she be able to find her courage and save Mewtopia?